right. so. lots on. first: lil bit of greenstuff, and the crushers are done, heading off to get painted next week. thanks sammy! next, vc. vcs are on hold. ive had some discussions with dave, and i need further tweaking and playtesting. 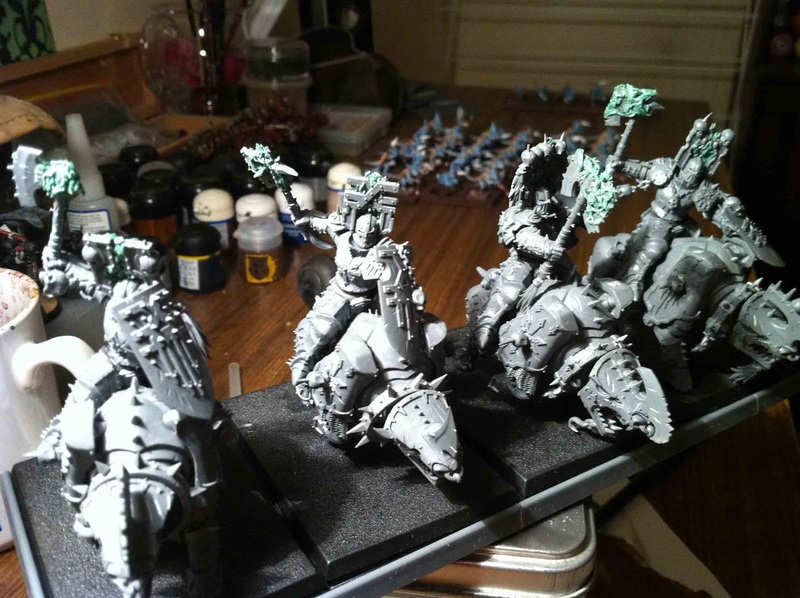 im the meantime, im going to do that empire army that i bought and kind of sidelined. 1 Mounted COTE - captain of the empire. if anyone reckons they can make a competitive list from this, please reply to the post. am keen to hear some thoughts before i shell out for more greatswords, chicken knights, and outriders. this empire list is still very much up in the air, and c&c always welcome. lizardmen: are getting painted, and have been all this week. the bad news is ive had to accept my first case of biting off more than i can chew with sculpting, and had to quit sculpting the slann. i could tell quite early on that i wouldnt end up with the result i wanted, and forgot that a: im in australia, where slanns dont cost 120$, and b: lord kroak. so i shelled out 80 bux for the finecast version with the mask. other than that, the lizos are on track, im about 75% done - minus the slann. 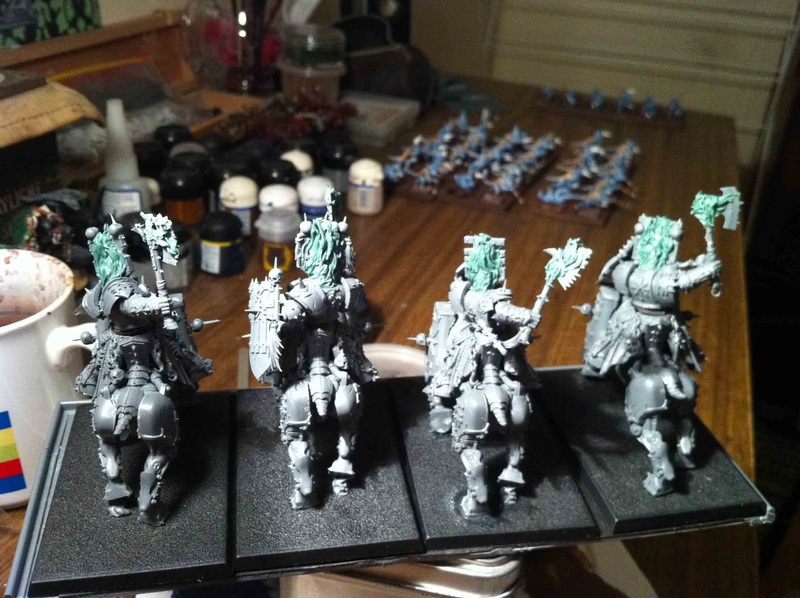 one more big push and i should be on the home run, to put them aside and start painting and collecting other armies. 40 gunners with 2 helblasters with engineers either side.. LOLZ. Chuck in a lvl4 on shadow ftw. 2 cannons, some big bird cav and the knight bus to counter. Not sure if the models you've got make a decent army though.. not enough of any one thing other than gunners, knights and cannons.